The health benefits of getting outdoors are well documented. Even a simple 30-minute walk around the neighborhood can do wonders for your overall well-being. And making time to get outdoors is more important now than ever, as people of all ages spend an increasing amount of time on smartphones and tablets. As devices become more integrated into a child’s development, it is more important than ever to make outdoor activity a regular part of life from an early age. When people aren’t exposed to outdoor activities at a young age, they often struggle to pick them up later in life. In the same way that kids grow up using and learning on devices, participation in outdoor activities should be an integral part of childhood. Once kids get older it isn’t always easy to get them outdoors. Sometimes a hike or bike ride doesn’t seem as exciting as winning a battle on their favorite video game or watching a new YouTube video. Below are seven tips that will make it easier to pull your kids away from the tube and put down the controller. When you take kids outdoors, the adventure will quickly come to a halt if they get extremely hungry or thirsty. Bring a backpack with snacks and drinks, or for extended trips make a picnic lunch. It’s also a good idea to have some first-aid supplies just in case. Everyone will be much happier if you’re able to treat minor scrapes. When kids have a positive first experience in nature, they’re much more likely to be interested in further adventures. To help ensure it’s a good time, avoid going out in bad weather. If kids wind up cold, wet, and miserable, you’ll struggle to coax them out again. If a kid has never been camping, the idea of a weekend campout under the stars may be overwhelming. Start with an overnight trip or just an evening camping in the backyard. This will help ease fears about sleeping outside, and it will give kids confidence that they can sleep with the sounds of nature. Take this conservative approach with any outdoor activity, whether it’s hiking, mountain biking, or canoeing. Don’t ask kids to tackle difficult terrain at first. Instead, keep it simple with a trip to an interesting feature or overlook, and work your way up to the more challenging trails. Before you set out on a hike with kids, get them to help you research the different types of plants and animals you could come across. Make a checklist and hit the trail. This is also a good way to introduce a Leave-No-Trace approach to nature since they don’t collect the items. Having a checklist will keep them engaged during the hike and develop a greater appreciation for nature. Award bonus points or a special prize for spotting that rare salamander along the creek, a red fox creeping through the trees, or any other unique feature or creature. 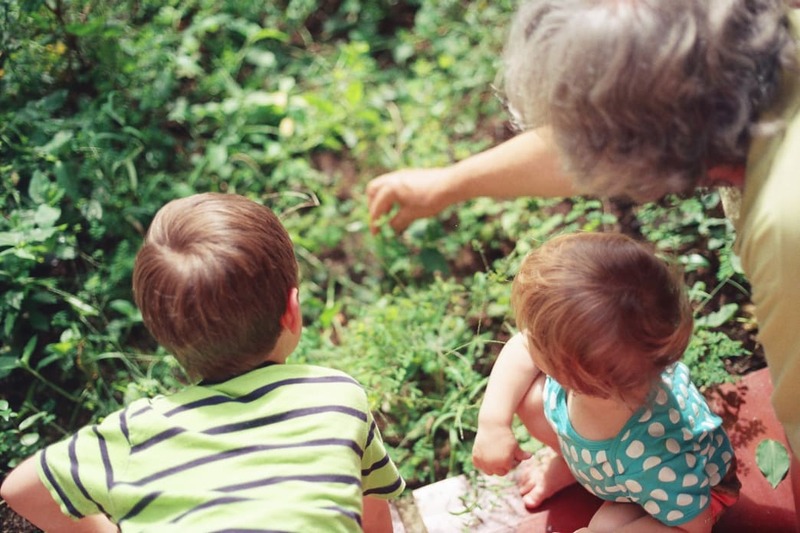 Kids are competitive, and outdoor games are a perfect way to eliminate some screen time. Many state parks have frisbee golf courses, or you can find an open field for a game of football or soccer. You can even create a game that incorporates nature—that flowing creek is perfect for a pine cone race. You can even play a game of hiking hide-and-seek. Someone hides behind a rock, tree, or another object about 15 to 20 feet ahead on the trail, while the rest of the group seeks while hiking. Rotate hiders as you move down the trail. It’s a twist on the traditional playground game that keeps the hike fun and exciting. There are plenty of apps that can enhance the outdoors for your kids. When you download the free app from Geocaching.com, you can turn a walk in the woods into a hi-tech outdoor treasure hunt. With geocaching, you use a GPS or smartphone to locate a hidden object or container, known as a cache. In Alabama, you’ll find some pretty create caches, like the Jolly Green Giant’s oversized possessions on Green Mountain and Huntsville Mountain in North Alabama. The hunt for the cache will get the kids excited about being outdoors and introdcue them to new places. While part of getting outdoors is to help reduce screen time, apps that enhance the outdoors for your kids are readily available. It’s possible that a trail or astronomy app could kickstart a lifelong love of nature. When you introduce kids to bouldering, mountain biking, or any other outdoor activity, remember to start with the basics. Also, make sure it’s something that they’re genuinely interested in. Talk to them to find out what activity they would like to try. If they suddenly want to start bouldering after that birthday party at the indoor climbing gym, take them to the closest boulder field, and just watch other boulderers. Join the rock-climbing gym and talk to some experts so they can hone their skills indoors before their first climb. Take a similar path when introducing kids to mountain biking. 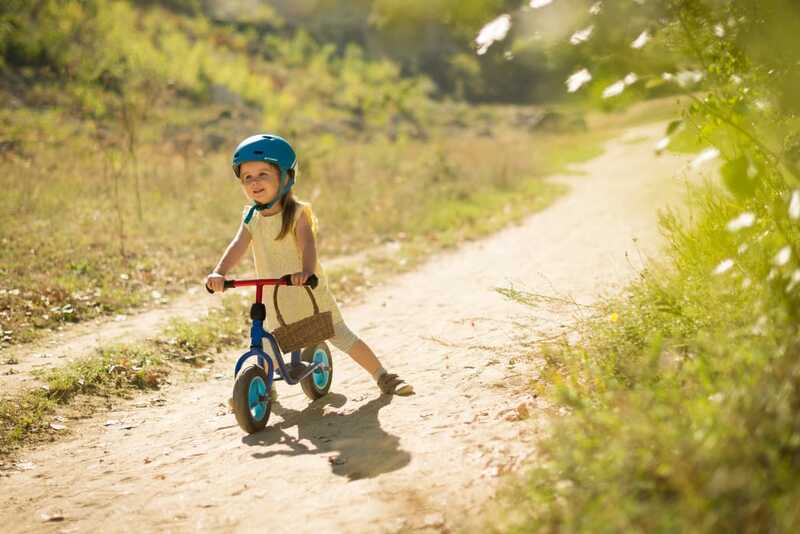 Keep them engaged in the process of buying a bike and equipment; don’t just do it for them. This will create a sense of ownership with the sport and make it their own. Don’t push too hard on the trails at first. Instead, make sure they’re having fun and learning. It won’t be too long before you and the kids are making downhill runs together. Every kid is different. Some will take to the outdoors right away, while others might need to be coaxed to expand their boundaries. When people try something the first time, whether it’s putting a tent together, starting a campfire, outfitting a backpack, or paddling a kayak, there will be bumps along the way. Encourage kids to overcome difficulties, but also allow them to walk away if they’re overly frustrated, tired, and truly not having a good time. As kids learn to overcome fears and negotiate obstacles, they become more resilient mentally and build confidence. As they explore trails and paddle rivers, their time outdoors will also help them stay fit and it will put them on the path to a healthy lifestyle. And, when you help kids develop a love for the outdoors, it’s something you can share with them for a lifetime.